I will admit to anyone that asks; I am not the most aggressive swing trader. I never put 100% of my money in any trade; I try my best to diversify, etc. etc. Even with that; I do believe there is a lot of room for speculative stocks in my portfolio. 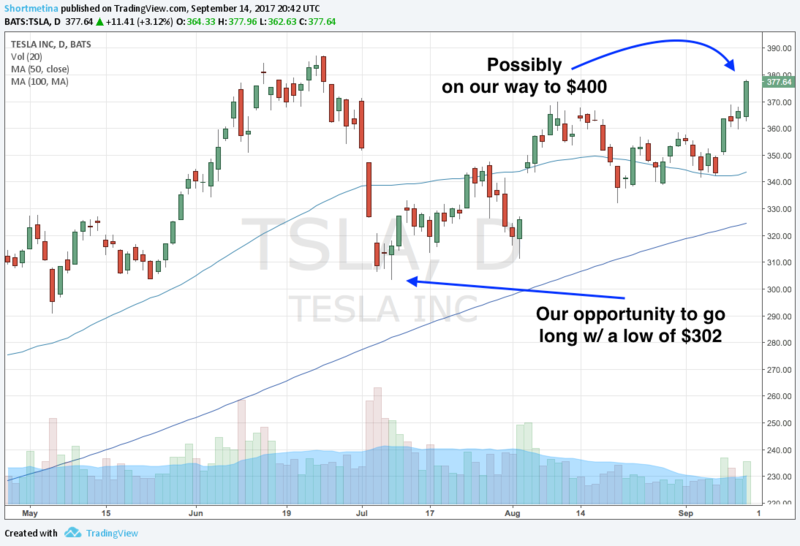 So when I noticed Tesla (TSLA) on my radar; I informed my trading community at shortmetina.com about it IMMEDIATELY! 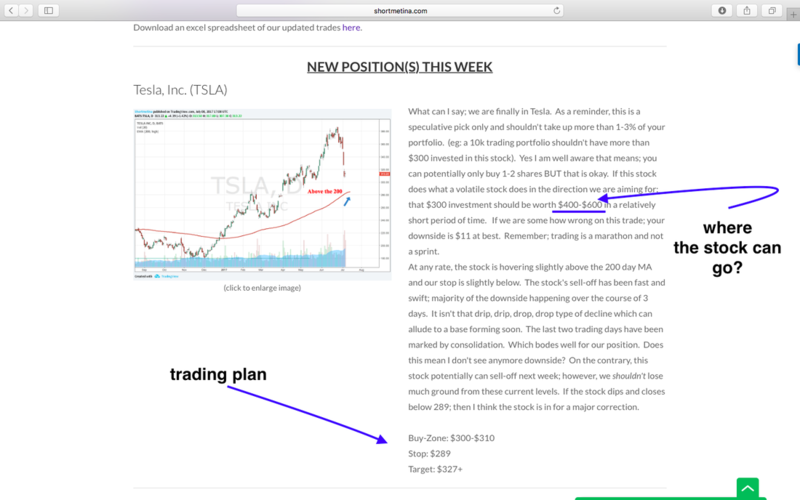 I first alerted this stock to premium members when the stock was trading around the low 300s and indicated; from a technical perspective; it was a good area of support. . Click the image below to see what was stated. Look at the chart below to see why I am bullish. So far premium members are up over 25% on this trade and I do believe this stock can hit $400-$410 before any real resistance.